Pistachio Wedding Cookies are soft, buttery cookies that are a little sweet, a little salty, and a whole lot of deliciousness. These melt-in-your-mouth good cookies just might have you reaching into that cookie jar often this Holiday Season. It’s December and it’s time to talk Christmas Cookies! This time of year you will find me in the kitchen whipping up batches of cookies for annual Christmas cookie exchanges! I usually have 2 or 3 I attend every year. What about you? Do you host or attend any during the Holiday Season? I find they are always festive and so much fun! A time filled with friends, laughter, and a big dose of Christmas Spirit! These cookies are a cross between a shortbread and a traditional wedding cookie. The addition of the pudding mix makes them melt-in-your-mouth y’all! 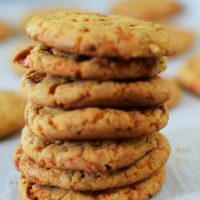 And this velvety texture bakes up the PERFECT cookie in my book! Not to mention, they are so beautiful covered in confectioners (for you refined friends out there) sugar. Here in the south we affectionately call it Powdered Sugar! And hey, you know it’s winter and I need some snow in my life here in Florida! A a little dustin’ with this and you have one delicious sweet treat! 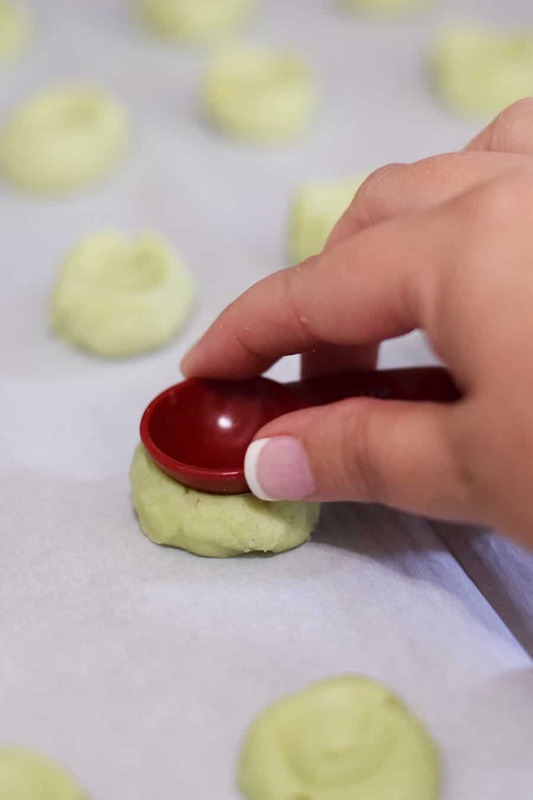 Pistachio Wedding Cookies are perfect to take along this year to your Cookie Exchange, Holiday Party or to leave out for SANTA. 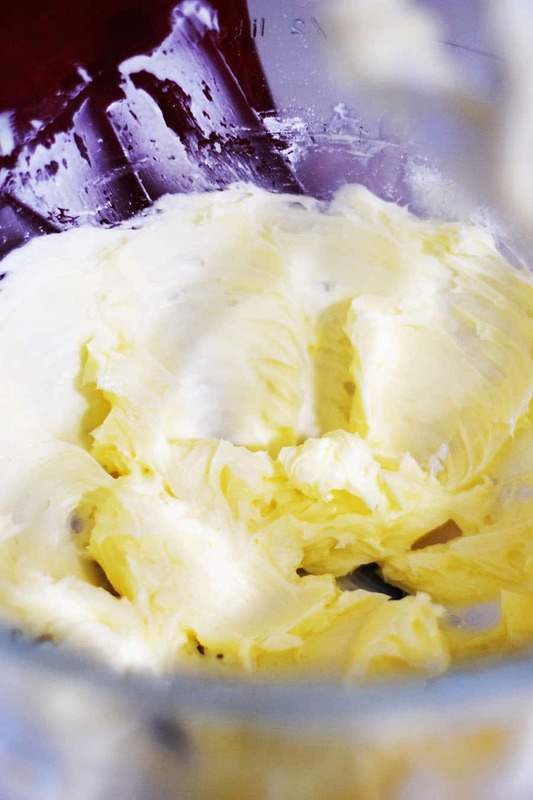 First cream your butter until nice and smooth. Add in the powdered sugar and mix until fluffy! Then add in vanilla until combined. 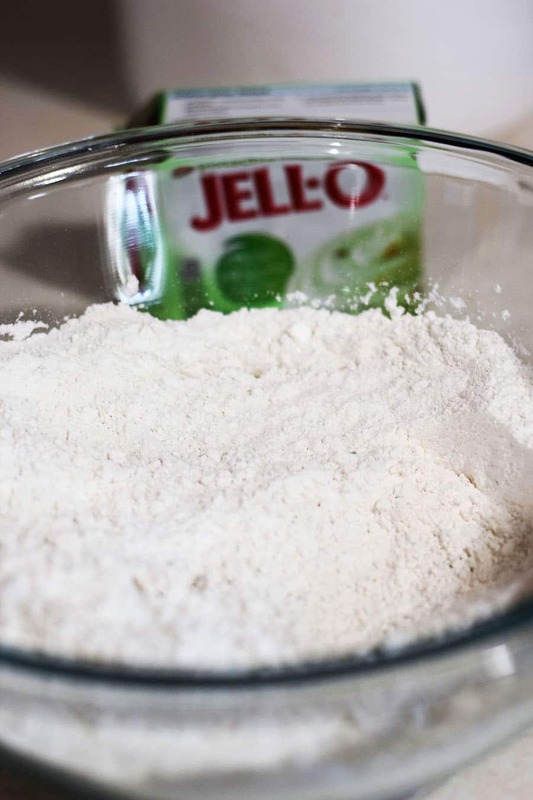 Meanwhile, in a separate bowl mix together the flour and pudding mix. Then gradually add into butter and sugar. Mix until combined! I used my stand mixer, but if you don’t have one use your hand mixer. Or a little elbow grease works wonders too! 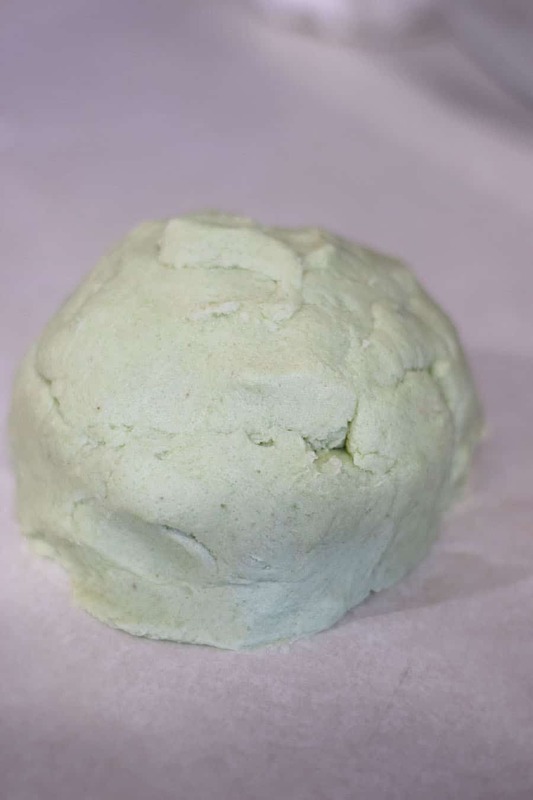 Once mixed, pour onto wax paper and make a dough ball. Wrap and refrigerate for an hour. Remove from fridge and use a measuring teaspoon to make a ball. Then press down slightly with the back of the measuring spoon. I like these cookies a little more flat like a cookie rather than a ball. Enjoy, Pin and Share this with your friends! They will love you for life! Come on over and join us on our Social Channels! I wanna hear about your cookie exchanges and holiday fun! You can also find this on Weekend Potluck and Meal Plan Monday! 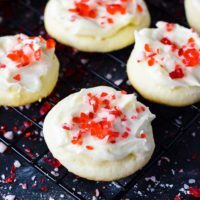 My fellow foodie friends are sharing fabulous Christmas Cookies all week long! SO come back everyday to see all the fabulous recipes we are sharing! I just made these for St. Patrick’s day tomorrow. They are so easy & are absolutely delicious. 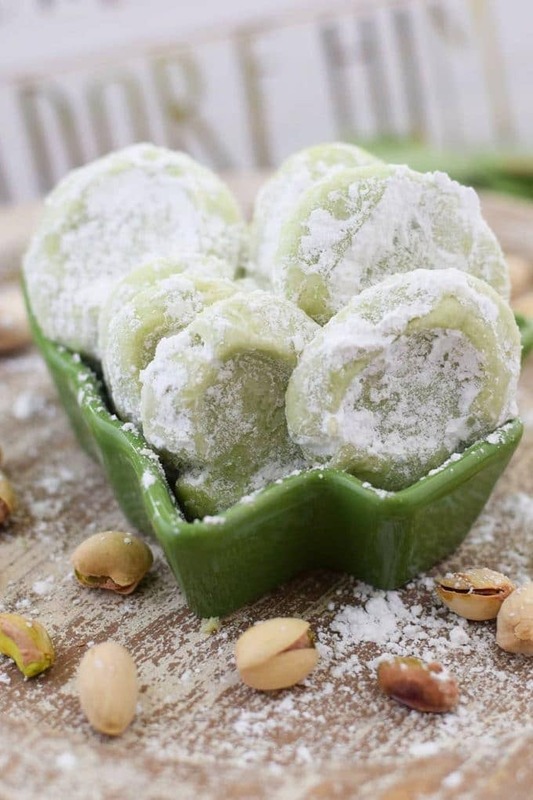 Wedding cookies are my favorites anyway, but the pistachio pudding sends it over the top. Love the light green color. I’m going to try other flavors of pudding as well. Thank you so much for the recipe. Thank you Mary! I am thrilled to hear you love them! They are one of my favorites. I would love to hear what other flavors you try! What about pistachio nuts? Aren’t any pistachio nuts called for? Did I miss read the recipe? 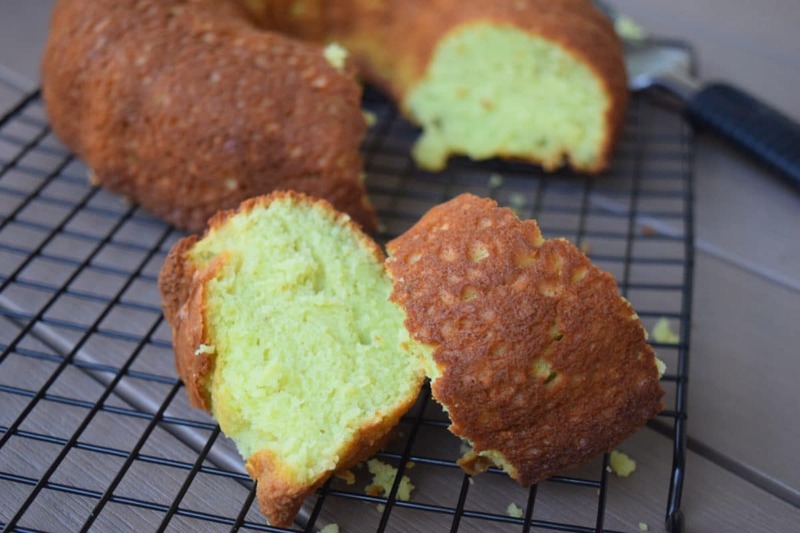 They are made with pistachio pudding. I have not tried adding in some nuts, but I may the next time and see how they turn out. Can I chill the cookie dough overnight? Love the recipe! Hi! I just made a variation on these–chocolate peppermint snowballs. I used chocolate fudge pudding mix and peppermint extract instead of vanilla (I tripled the recipe, and used 2/3 of the required amount of extract–4tsp instead of 6–so it wouldn’t be too strong). Delicious! That sounds so delicious! I make variations of these as well! You can never ever go wrong with chocolate, especially when paired with peppermint. I have a Chocolate Candy Cane Kiss Cookie I love to make as well! These looks AMAZING! 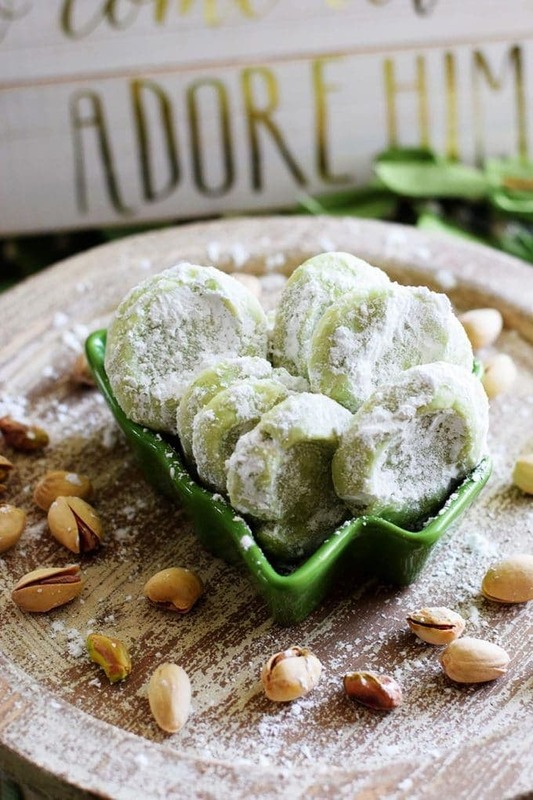 I love shortbread and I love pistachios so this is perfect for me! I’d love to give these a try! They look amazing! Thank you so much Toni! I hope you are able to! They are a tradition for our Christmas Cookie Tray! These are wonderful and beautiful. I made these for my boss. He loved loved loved them. Thank you so much for sharing. I going home to bake him more for tomorrow. Linda, Thank you so much! I am glad he loved them! They are one of my favorites too! Thank you so much! Wishing you and yours a Very Merry Holiday Season! These look melt in your mouth delicious! 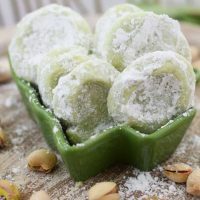 I love pistachios, but never thought to put pistachio pudding in anything. LOVE this idea! Are these soft and chewy or crispy? Also, can these be frozen? These are more on the soft side, as long as you don’t over bake them. I have not frozen these before, but I would not see any reason they would not freeze well. I love the color; so pretty! These are so pretty! They would be fun to add to a cookie exchange! Thank you so much! They are always a hit!! These cookies look amazingly good!!! I love pistachios! These sound so good. A bit a green is nice change from all the red too! That green color is so pretty! What a delicious sounding cookie. Love pudding cookies and these sound wonderful. I think I will try adding some crushed pistachios to the dough. Wendy that is a fabulous idea! I may sneak some in on my next batch! You can’t go wrong with extra! I love how these cookies and sweet & salty! Such a pretty green – these cookies will brighten up any cookie tray this holiday season! Thank you Liz! That green color is so festive! Hope you have a wonderful holiday season!